We have an awesome new feature for you! Do you remember how awesome it is to use Following feature in CheckiO? You can see aggregated progress of your friends on one page. You can see all their solutions on one page. Today we made one more step in this direction - now you can find your friends playing CheckiO and follow them. As you probably know you can connect your social accounts (such as Facebook, Twitter, GitHub, StackOverflow) and use it for authorization to your CheckiO account. 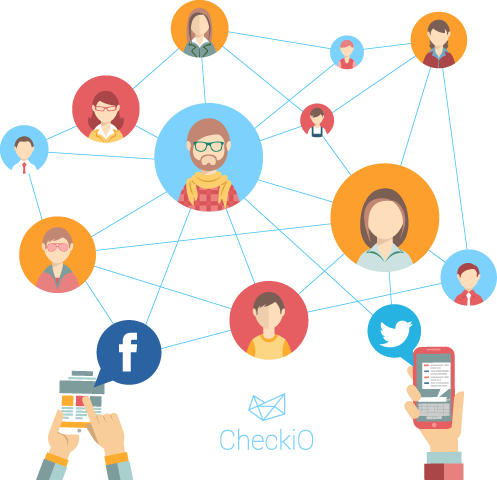 Now, when you connect Facebook or Twitter we show you which of your friends are playing CheckiO. You can follow them right from that page and improve coding skills together.